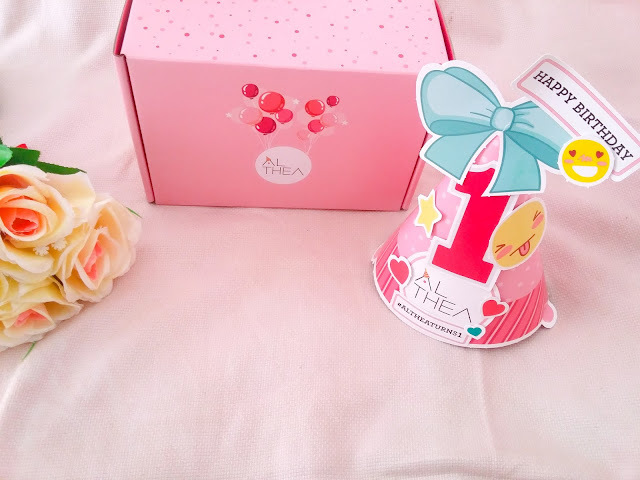 Let me warn you immediately that this post is full of PINK awesomeness from Althea Korea. Yep!! It's another blogger mail from them because guess what? They're turning 1 today!! Wohoooo! And this post comes with exciting news. So read on to know more about this global online birthday celebration. Althea is a Korean online store which offers different Korean brands, from well known to brands that we're not aware is already existing. It offers easy and convenient shopping with super great deals and amazing discounts! Who doesn't love discounts? Few months back, I was one of the bloggers who tested their site and be the first to shop, when they launched here in the Philippines. And now that they're 1, I want to take this opportunity to celebrate with them, the success and awesomeness they brought to Korean-product-lovers like me. I really wanted to have a Korean skin, unfortunately, in this humid country, it's close to impossible. But Althea helps us experience it. It's my third time to try their checkout process and they never failed to amaze and surprise me with this pink box. 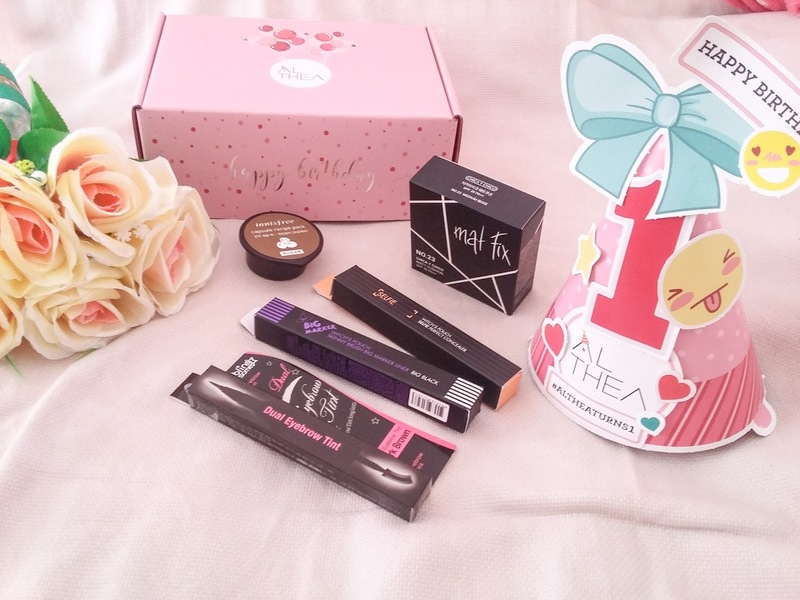 Do you like what's inside and would want to receive a box like this for yourself? Well, you can still celebrate Althea's week-long birthday celebration. 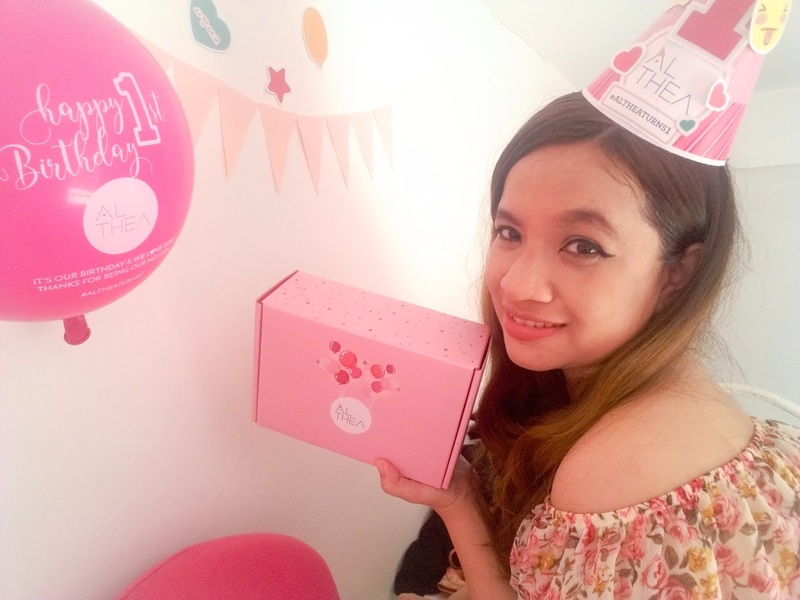 If you shop from July 20 to July 31, you will receive this limited edition Birthday Box + Party Kit. It would be a perfect gift if you're having your birthday by end of July or August because surely, you will fall in love with this box. First 1,500 shoppers will receive free full sized products while stocks last. Pick up to 3 items from a collection of 12 top sellers to check out, then you'll get 100% rebate off these 3 items which will be in the form of credits to your account for next shopping adventure. To prevent fraud, only when an order is completed then the rebate credits will be automatically in their account. Completed means, pack & ship to shopper already (no cancellation at this point). Win big big prizes from Althea if you join #AltheaTurns1 Instagram Contest. 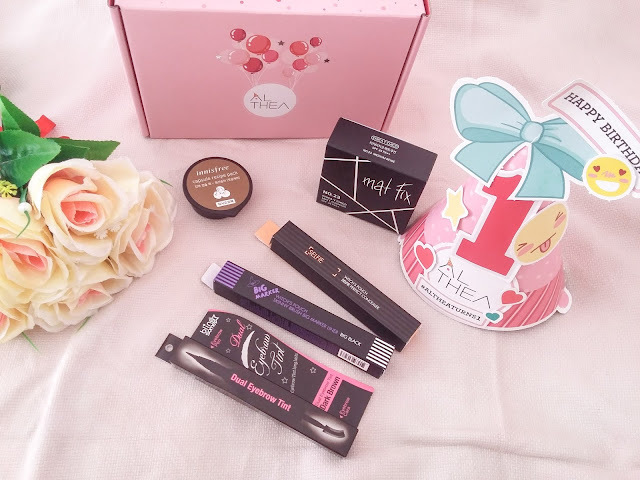 Be one of the lucky winners of Macbook Air, iPad Air 2, iPhone 6s, Galaxy S6 Edge, Cankn EOS M10 Selfie Camera, Althea credits and beauty hampers from Althea. Wooooot! There are over KRW 10,000,00 to be won. What are you waiting for? 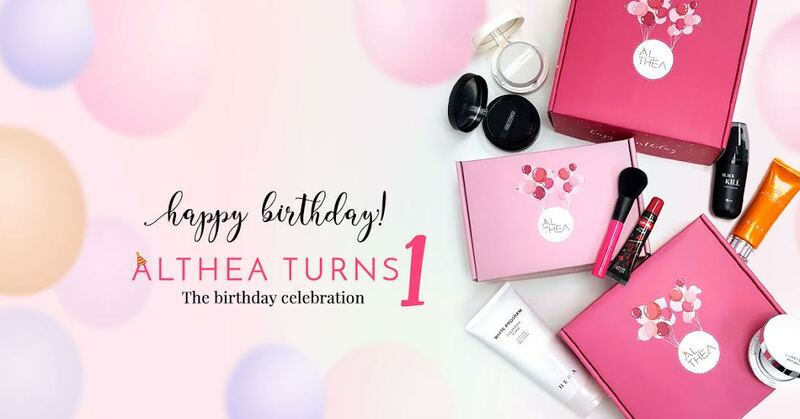 Wish Althea a happy birthday when you receive your Althea party kit to get a chance to win. Contest starts July 20, 2016 until August 15, 2016! Disclosure: This box was sent to me by the Althea Team but content is mine.